i hired the 1936 hertford for my wedding in manchester. the car was great and the fully uniformed chauffeur was very smart. as i was driven through manchester in the wedding car i felt like a princess. Thank you for the beatiful car and exellent service at our wedding last week. Please pass on our thanks to the driver , the day was wonderful and ran so smoothly. a really big thankyou for the cars for our wedding. 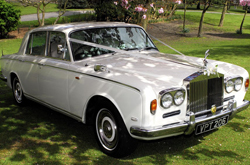 the limo and bentley are both stunning cars and look wonderful on the photographs. just to say you did us proud. just to say thankyou for the wonderful service you provided on our wedding day. both steve and i really enjoyed riding in the bentley, which looked beutyfull. we will haappily recommend you to anyone we know who is getting married. we would just like to thankyou for making our day so special. thankyou so much for making my daughters 21st very special, she was so shocked to see the driver standing at the front door that she cried, and i cried because she looked like a princess. thankyou very much for all your help with the cars and on the day. just to say thankyou for your patience. my daughter enjoyed her 21st birthday, car was fantastic. 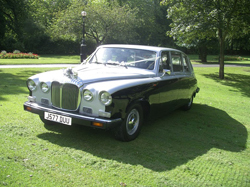 thanks for all your help right from the start with choosing the wedding car, and i am glad i decided on the bentley, being drove in it was amazing as was the response we recieved from people we passed, i felt like royalty. the driver was wonderful and very helpful on the day especially with getting in and out of the car. i will be recommending your services to all my friends. thanks. thank you for making my daughters wedding day so special you were so kind. i will recommend you to anyone thank you again. just a short note to say a huge thankyou for making my son and his friends prom night a night to remember. you treated the boys with so much kindness and how patient you were with the other children. you made the boys very proud to travel in such fine style, we have passed your business cards around and will travel with you in the future thanks again. your kindness really meant much more than words could ever thank you for. these words say it all from all of us - rabble - the bubbly was delicious also i shall pass the word on whenever the opportunity presents itself thanks again. all of carols wedding cars. thanks for making the day perfect. we just wanted to say a big thankyou for making our daughters wedding day so very special you did a lovely job thanks once again. 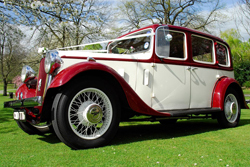 i am writing to thank you for bringing one of your wedding cars in order to help us celebrate weddings past and present. having the car really contributed to the exibition which the residents thoroughly enjoyed as well as sharing their memories and exhibiting their personal photographs. it was an unexpected but very pleasent suprise for the residents when you offered to take them for a spin in the rolls royce. again sincere thanks for the support that you gave the home. the residents enjoyed themselves. i will forward a photograph to you of the event as soon as they are ready. she really did arrive in style. thankyou for your patience with us all on our night out to blackpool. we had a fantastic time and the limo was great. worsley to swinton registry office and then on for photographs at worsley old hall manchester. 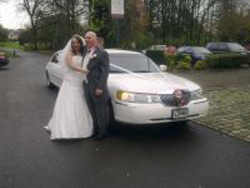 congratulations from all at carols wedding cars. bride went to cheadle and then the happy couple went on to mere hall in knutsford. Sorry this is a bit late but just wanted to say a huge thankyou to you both for the way we were treated on our wedding day and the run up. The cars were gorgeous. Im just gutted we cant do it all again. Thank you for a very pleasant day at Aintree race course for ladies day. we had a fabulous time and the driver was very helpful. Just a quick note to say ?Thank You? 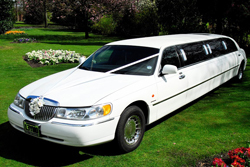 for yesterday?s Limo hire - your driver was very polite and courteous. Thanks again for helping to make their prom day special ? we will definitely recommend you and use you again. 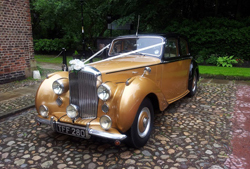 a fine wedding at st marks church worsley manchester, a stunning pair of vehicles. the 1936 hertford for the bride and groom, and the full american stretch for the bridesmaids. matching ribbons and flowers with fully matching uniformed drivers. 8 stunning girls going to there school prom at the last drop village bolton manchester. 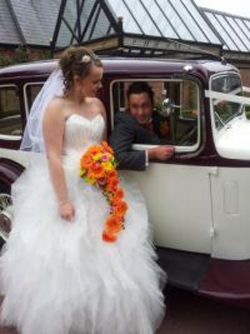 wedding on June 29th Sarah and David at saint pauls peel church Manchester road little hulton.